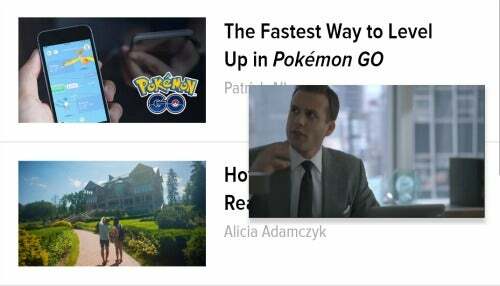 When you're watching a video, press the home button on your device and it will make that YouTube video a small window on your screen rather than close the app. That's it. It's not the most earth-shattering feature for sure, but it is a nice one. There's something pretty solid about being able to keep watching those cute cat videos while also checking your email. Unfortunately, picture-in-picture won't work for music videos. If you try to use picture-in-picture with a music video the app will just close when you press the home button. YouTube is still keeping the ability to listen to music with your screen turned off as a YouTube Premium feature as well as a handful of other features like ad-free browsing and offline playback.